Highlights of the simulated cruise will include “arrivals” at five different ports — each with a signature cocktail and entertainment from that destination. “Stops” include Bombay, India; Rio de Janiero, Brazil; New York City; Cherborg, France; and Clydebank, Scotland, where Queen Mary was launched in 1934. “Tourist Class” boarding passes are $99 per person and include general admission to Tourist Class decks, salons and bars — featuring live bands, strolling entertainers and DJs, plus a party favor and midnight fireworks. Optional upgrades include bottle service and a New Year’s Day brunch. “First Class VIP” passes are $199 per person and include access to all VIP and Tourist Class decks, salons and bars, with live bands, strolling entertainers and DJs, plus four cocktails, a premium party favor and a “premier view” of midnight fireworks. Optional upgrades include bottle service and a New Year’s Day brunch. Stay-aboard hotel packages are available starting at $199 — and a variety of dinner options are available (from casual dining to a buffet or a five-course gourmet supper) at Queen Mary’s onboard restaurants and the Grand Ballroom. The event also offers a wide array of VIP seating options for couples, small groups or parties of up 30 people. 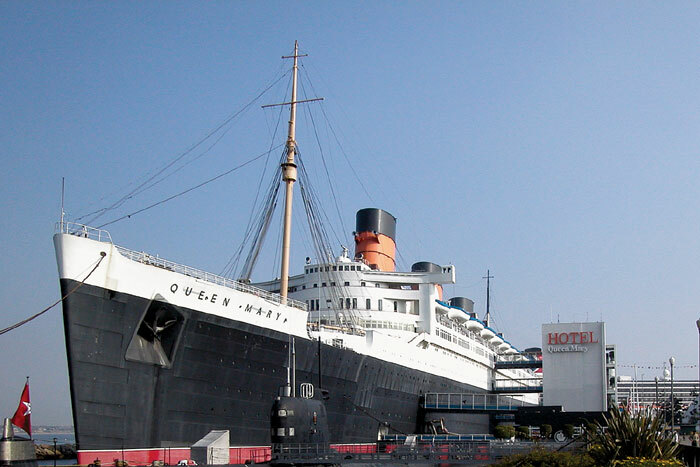 For more information, visit queenmary.com.